Kalmar, part of Cargotec, will supply a complete AutoRTG system to Belfast Container Terminal (BCT) in Northern Ireland following and order booked in the fourth quater of 2018. The system will include eight automated rubber-tyred gantry cranes (AutoRTGs) controlled by the Kalmar Terminal Logistic System (TLS) and new-generation remote control (RC) desks. 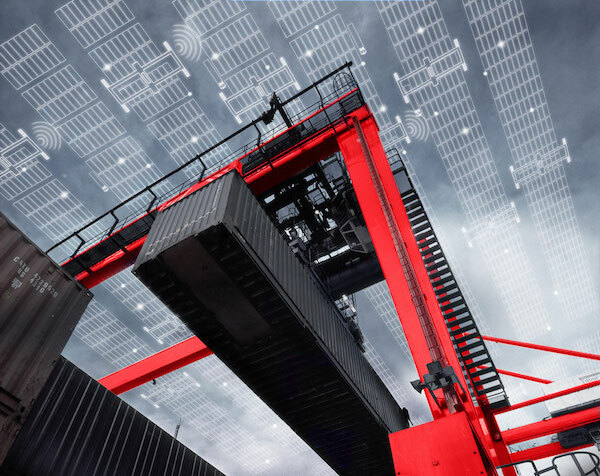 The cranes at BCT will operate fully automated within the container stack, receiving orders from the Kalmar TLS which performs planning, routing and execution for all operations based on orders from the terminal operating system (TOS). Crane gantry operation will be automated with supervision from the operator at the RC desk in the control room. Truck handling will be remote controlled, and the system will feature a truck positioning system to ensure accurate alignment of trucks under the RTGs. Kalmar will be responsible for the integrations between the TLS, the TOS and other relevant systems. The delivery of the system is scheduled to begin at the end of 2019.